The 35-carat 'Beau Sancy' diamond - passed down through the centuries on to the crowns of monarchs in France, England, the Netherlands and Prussia - forms part of a magnificent gems collection owned by queens, film stars and billionaires alike that is being sold off in Geneva. 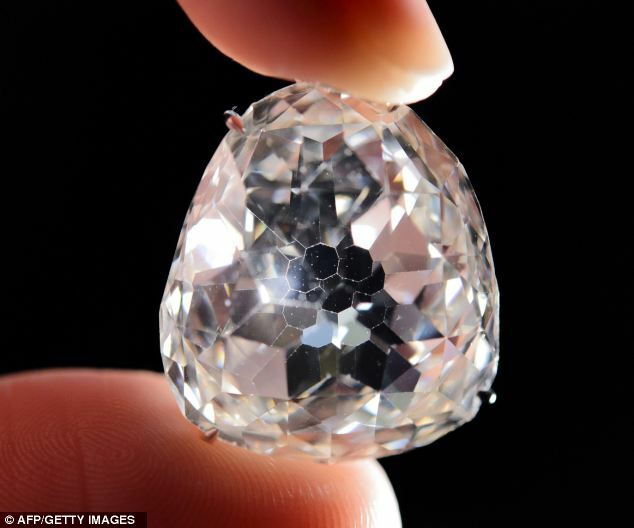 The Beauy Sancy has an estimated worth of £3 million. 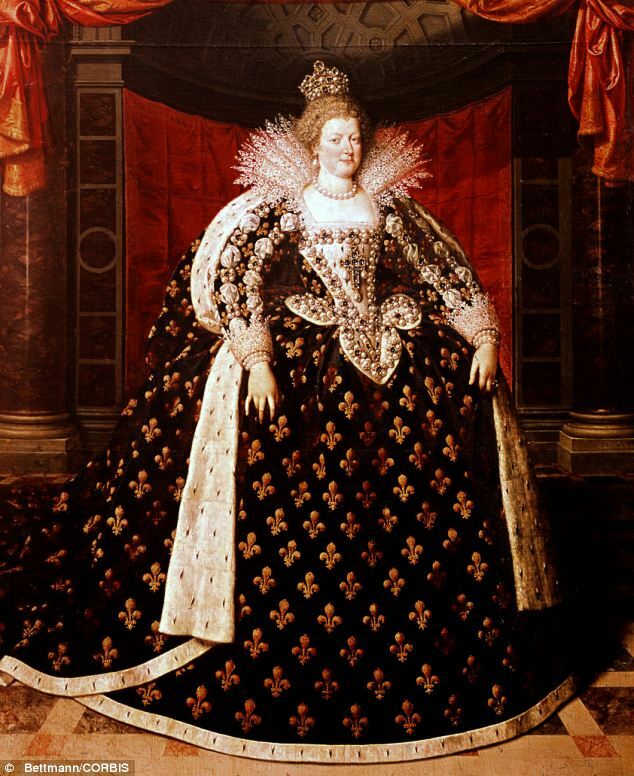 The pear-shaped diamond's royal connections date back to 1604 when it was bought for Henri IV of France at the insistence of his wife Marie de Medici who wore it atop her crown at her coronation. It then passed on to the hands of William II, prince of Orange who gave it as a wedding present to her wife Mary Stuart, daughter of Charles I of England, who in turn sold it to provide funds for her brother, Charles II, in his quest to regain the English throne. In 1702, Frederick I, first king of Prussia, made it the center piece of the new royal crown. Since then, it passed to the hands of the house of Hohenzollern. Prince Georg Friedrich sold this at auction a few years ago. I read it was sold for $10,000,000? I'm not sure who bought it.